During the course of the detailed research that goes into both ECigIntelligence’s Market Reports and Regulatory Reports, a lot of images are gathered and collected — and not all of them can make it into the relevant published article. 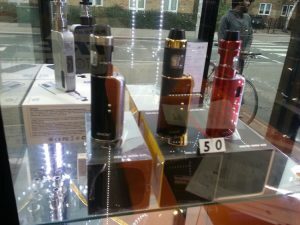 But such pictures can tell their own tale — illustrating how products are marketed and displayed in different territories, helping manufacturers gain a wider understanding of how their e-cigarettes and e-liquids exist on a wider stage. Be it the organised displays found in Denmark, or the more ad-hoc approach favoured by some of London’s smaller establishments, the latest range of picture galleries gives a sense of the varied global markets and the uniquely local approach taken by both vape stores and traditional retail outlets.